If you are looking for the Best Sony E-mount lenses for Sony a6500, a6300, a6000, a5100, a5000 and Sony NEX mirrorless cameras. Here is the ultimate Sony E-Mount Lens Guide for you – We pick the Best Sony E-mount lenses for Sony mirrorless cameras including leading prime and zoom options from wide-angle to telephoto. If you choose a Sony full-frame E-mount lenses at random for your APS-C Mirrorless Camera, chances are you might end up buying the wrong product. If you spend your hard-earned money on any Sony E-mount lens because it looks like a good fit, you might end up taking home an average or low-quality prime E-mount lens. Strangely enough, even the best artist you know might suggest any random Sony E-mount lens as long as it fits the size of your camera – as well as your budget. That notwithstanding, we want to cut through the noise and confusion by providing you with an ultimate guide to the best standard zoom E-mount lenses. In our commitment to provide you with trustable Sony E-Mount Lenses reviews, while saving you a lot of search time, we spent literally tens of hours searching for and analyzing different lenses. In the end, we managed to find the best wide-angle and all-in-one lenses worth every penny. We focused on what makes these lenses unique, giving you a reason to use them for your next photography project. Below are our top picks of the Best Sony E-Mount Lenses 2019. This is the best sony E-mount lens for a reason. Popularly known as an APS-C camera lens with a glossy finish, it resonates quite well with high-quality production. If you are looking for a wide-angle zoom E-mount lens out there, then makes a great choice. Besides its authoritative focal length, which is an equivalent to almost 27 mm field of view for landscape, indoors, and group shots, Sony 10-18mmf/ 4 OSS has powerful built-in optical SteadyShot for image stabilization. 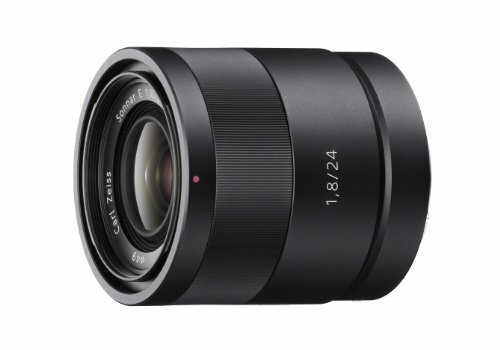 Sony 10-18mm OSS APS-C E-mount Sony lens has an f/4 aperture throughout its zoom range. Given that it falls on the tipping scale of 225g, it is a highly lightweight Sony lens for a600 a6300, and a6500 camera than most ordinary lenses. The built-in optical SteadyShot is extremely powerful in that it can capture high quality and blur-free images and videos even in low light. A minimum focus of 25cm seems to fit the E-mount lens well. This range is ideal for shooting close to your subject. Moreover, the range is excellent in claustrophobic environments. As one of the best sony e-mount lenses for the money, it features a 62mm filter ring. Because this ring is steady and never rotates, it makes a perfect object for polarizing as well as a graduated filter. On top of that, its circular aperture guarantees amazing low-light shots and defocused circular effects. 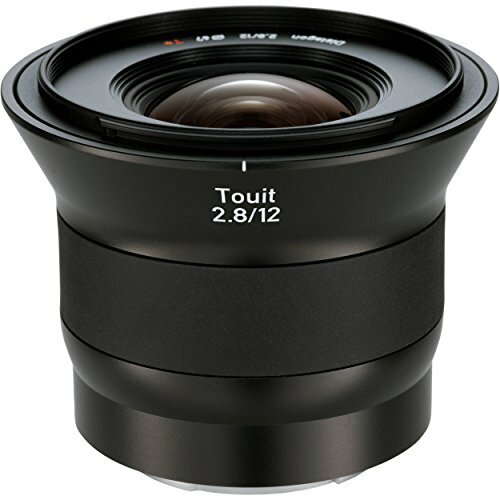 Zeiss Touit 12mm f/2.8 Sony is not an average petty sony e-mount lenses with a ‘satisfaction guaranteed’ tag. Every junkie with a passion for landscape photography concedes this is an exceptionally breathtaking lens for Sony cameras. Because it supports phase detection, it makes a unique autofocus system for all Sony E-mount APS-C mirrorless cameras. 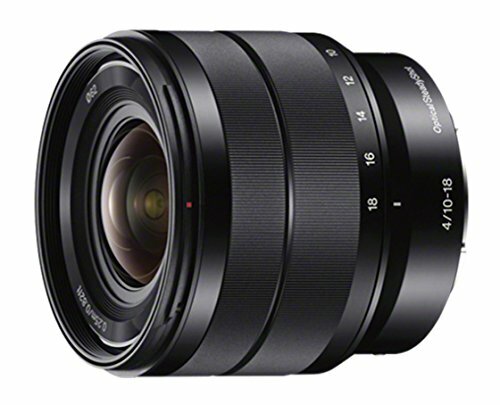 Furthermore, this Sony lens beats Fuji 14mm for its sharp focus, image clarity, and precision. In addition, unlike Sigma and Tokina lenses, Sonny fully supports Zeiss e-mount lens without implementing any instance of reverse engineering. Its support for high-speed autofocus makes it one of the best wide-angle prime e-mount lenses out there. Perhaps the most noticeable and more significant feature is the compatibility of this sony e-mount lens with multiple camera functions. These include exposure and autofocus control, selective focus application, and focus plane settings. This lens would not have been otherwise complete without optical design. It has an anti-reflective coating built for image clarity and contrasts. When we tested this lens, we noticed that that the hood is too tight and the aperture ring turns too easy. Even then, the corner-to-corner sharpness and resolution, as well as the quality of the images, definitely stand out. Sony e-mount lens stands its ground as the best masterpiece for the NEX shooter. 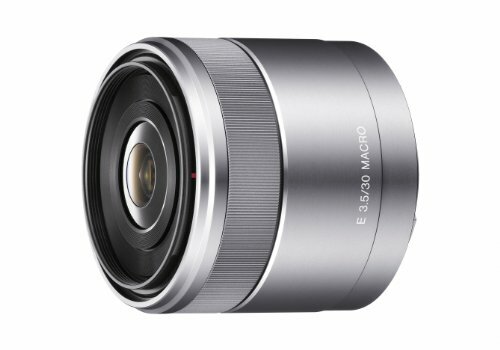 Moreover, it competes well with the big boys like Summicron M Aspherical Leica 28mm. The image coming straight out of the camera through this sony e-mount lens is sharper at f/2 as opposed to jpeg photos captured using the Leica 2 8mm lens. 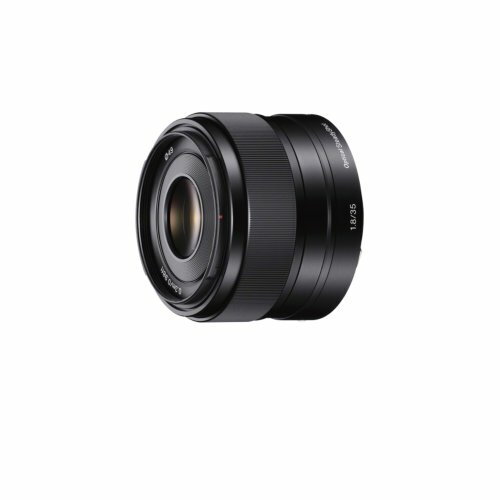 Carl Zeiss e-mount Sony lens for Sony APS-C cameras is quality and way beyond its price. And why is that? For the simplest of reason, the likes of Leica Aspherical lenses that cost 3 or 4 times more don’t deliver a precise precision and sharp focus like Carl Zeiss does. In addition, when it comes to aperture blades, no other Sony e-mount lens out there beats the quality of Sony Carl Zeiss. Concisely, Zeiss Carl’s 7 circular aperture blades deliver unique image background when you set them wide open. We are amazed by the silence of the lens. The smoothness and quietness are necessary for video production. This sony e-mount lens has two motors: a linear motor and a stepping motor. The linear motor helps you to ensure low-noise or no-noise focus operation. On the other hand, the stepping motor provides you with a silent and smooth aperture, and therefore it is ideal for high-quality movies. Sony 35mm f/1.8 OSS is a perfect upgrade for the 16-50mm kit lens. Not only is it much brighter than the 16-50mm kit lens, but also it produces high-quality images and videos. When reviewing the Sony 35mm f/1.8 OSS E-mount lens, we didn’t want to forget one super important feature: focus. Let’s be honest, whether you are a photographer by profession or just an average person shooting photos and videos for fun, you want to make sure you get shots in focus. If anything, it begs for the best Sony E-mount lenses with the best focus. So, we recommend Sony 35mm f/1.8 OSS because it has a very sharp focus than most E-mount Sony lenses on this list. This lens has a fixed focal length that can handle a variety of shootings. So, whether you are a landscapes artist or a street photographer, the 35mm Sony f/1.8 lens should do the job for you. If not for the high-speed linear motor and in-line stepping motor, we doubt it would be possible to provide smooth focusing and precise aperture control. Moreover, the inclusion of the motors, which can eliminate possible noise from lens drive, makes this lens the best for video shooting. Sony 50mm f/1.8 OSS is one of the best Sony E-mount lenses, and there are good reasons why we think it fits the list. It has been dubbed a mind blower by hundreds of photography fans. After spending hours studying the user guide and testing the lens to confirm this claim, we discover more mind-blowing aspects of this E-mount lens. The lens, made from aluminum alloy barrel, is not only lightweight but also elegant and beautiful to the eyes. It also has an aperture control and linear autofocus motor that provide smooth performance for images and videos. Like Sony 10-18mm f/4 OSS, Sony’s 50mm f/1 OSS E-mount lens has a built-in SteadyShot stabilizer for both pictures and videos. This Sony lens is not zoomable. Be that as it may, it delivers exceptional image quality no matter the distance between a photographer and an object. This lens works well with most Sony APS-C cameras. More precisely, though, we would say it is one of the best Sony E-mount lenses for the Sony A6000 cameras. With a prime portrait equivalent focal length of 75mm and a Direct Manual Focus, this E-mount lens allows both quality control and perfect fine-tuning of image focus. When it comes to producing sharp, three-dimensional images, nothing comes close to Sony 50mm f/1.8 OSS. No matter how many stunning images you want to produce, you will do very well with this combo. If you are looking for best Sony E-mount lens that can help you capture amazing portrait image and high-quality landscape pictures, you’ll love Sony Macro Lens. Although not 100% as powerful as Sony Zeiss 24mm lens, it does a great job in outdoor as well as indoor photography. And while Sony E-mount Zeiss lens beats Sony 30mm f/3.5 Macro Lens in optical superiority, Sony 30mm Macro e-mount lens does have an upper hand in the E-mount lineup. Sony 30mm f/3.5 Macro Lens may not be an ideal focusing distance for every macro shooter, but it still makes a powerful e-mount lens for a NEX system, particularly the NEX-5N. Besides being a versatile, lightweight, and a do-it-all type of lens, it competes on a magnification ratio of 1:1 with Son Zeiss 24mm within a minimum focus distance. This lens comes with a modulation transfer chart. This chart describes how you can use the lens to reproduce fine details for your images. In addition, lens configuration is a breeze. You can easily adjust the T* coating for rendering and contrast. Artists like to say that Macro Lens is an ideal alternative to Sony Zeiss 24mm because it is relatively cheaper. So, if you are on a tight budget or looking forward to spending an amount less than the cost of Zeiss lens, the Sony E-mount lens is a top pick. The two preliminary things that make Sony E PZ 180105mm f/4G OSS stand out are an excellent contrast for a wide-range zoom and high-quality resolution for images. Featuring an optical design with three aspherical elements and high-quality ED glasses, this lens can cover a 6x zoom range with a fixed aperture (F4) without compromising the quality of images. Moreover, the fixed F4 aperture works well in low light conditions. As long as you have greater zoom magnifications set, this lens will offer consistent performance in both dim light and low light. Sony E PZ 18-105m f/4G OSS Sony E-mount lenses also feature an Optical SteadyShot image stabilization, which helps to maintain the quality and clarity of your shots even in the event of camera shake. Because the lens provides a focal length in the range of 27-158mm, it can cover a wide-angle telephoto perspective without any problems. Thanks to the inclusion of the three Aspherical and extra-low dispersion elements, you can correct image distortions throughout the zoom range in minutes. Also, these elements make it possible to reduce chromatic aberration while enhancing the overall clarity and sharpness of your images. This lens wouldn’t have fit the list of the best Sony E-mount lenses if it didn’t have a smooth, quiet performance. That’s why the Handycam technology was used in the manufacturing process. Ideally, the Handycam technology makes the lens perfectly fit for movie recording. 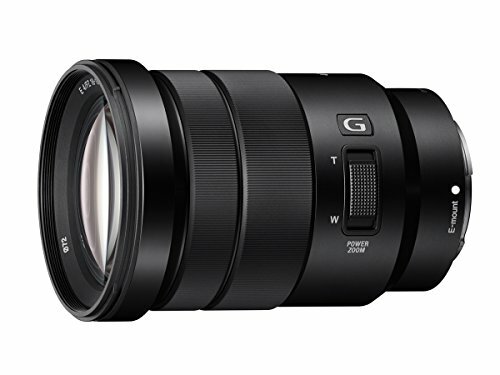 Sony 18-200mm f/3.5-6.3 OSS LE Lens is the smallest and lightest of the best Sony E-mount lenses on our list. 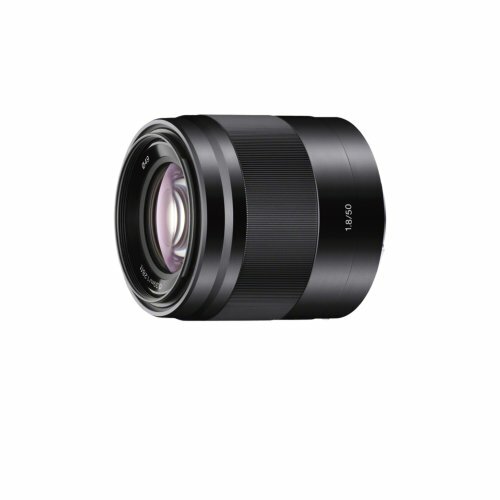 Yet, it is a high magnification lens for APS-C E-mount mirrorless and Sony’s NEX-series cameras and camcorders. Accurate imaging performance is a major factor that makes this lens stand out, no wonder many photographers can’t get their eyes off it. Like many A-lenses, Sony 18-200 mm E-mount lens has a circular aperture that adds rounded, defocused bokeh. And with the integration of Optical SteadyShot technology for image stabilization, this lens can correct image blurs on the fly to give you high-quality results. The Optical SteadyShot offers this lens an advantage that we haven’t seen in dozens of the best Sony E-mount lenses. That is, it reduced the dependency on ISO settings for dark environment shootings to a greater degree. From research and findings, we are confident to say that 18-200mm OSS LE is one of the best Sony E-mount lenses for travel photographers. After testing this lens on wide-open landscapes and portraits, we are confident that it delivers soft and amazing blurred backgrounds, hence worth a try. 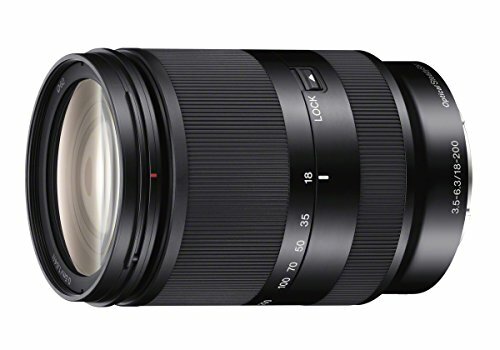 The very last important thing we can’t leave out is the outstanding telephoto capability of this lens because it makes Sony 18-200mm f/3.5-6.3 OSS LE Lens a good option for nature and sports photography. Built for mirrorless Sony digital camera, Sony PZ 18-200mm f/3, a superzoom with a 27-300mm range, is a grab-and-go lens for Sony NEX5 lovers. By definition, Sony PZ 18-200 lens is the best all-in-one e-mount lens with a sharp optical design, smooth autofocus, and a virtually silent zoom. This sony e-mount lens would have been rather useless without the silence zoom. Fortunately, for its inclusion, you can record high-quality videos without interfering with the recorded audio. In addition, it features a powerful zoom that has both constant and variable zoom speed. Thanks to the durable metal exterior, this lens can withstand wear and tear and adverse weather for years. Beside the aluminum alloy barrel that gives it an amazing appearance, the lens has a circular aperture that offers an attractive bokeh – AKA the out-of-focus areas. For a high-quality photography lens that delivers sharp images and videos even in low lights, you’d expect to break the bank to own this one. However, it is weird that the lens is 3 times the size of the camera, but regardless of its size, Sony PZ 18-200mm f/3.5-6.3 is the only best Sony E-mount lens for the Sony NEX camera series. Its Direct Manual Focus is easy to use. Its focus ring on the lens’ barrel is easy to adjust for precise focus control. If you want to capture high-quality images that get everyone talking, this is for you. Sony 55-210mm f/4.5-6.3 OSS is a Sony 6300 Camera lens with a clear focus, unbeatable precision, and up to par image stabilization. Sony 55-210mm is an ideal complement for SEL1855 that can fire up to 9 shots per second – even when shooting RAW. Because it has powerful image stabilization, the E-mount lens can correct image blur and produce sharp pictures even in low light. For a product this cheap, you wouldn’t expect a unique balance between form and function. But the manufacturers in the best Sony E-mount lenses production bandwagon have established a strong connection between the two elements. 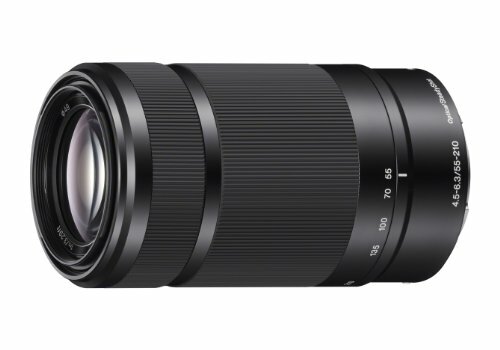 On the one hand, Sony 55-210mm offers an abundant zoom range, making it the best telephoto zoom E-mount lens for nature, sports, as well as indoor photography. On the other hand, it is 120% lightweight, hence easy to carry around. And what’s more is this lens is easy to grasp far and close and easy to operate. A common problem with this E-mount lens is that it doesn’t offer an outstanding precision in very low lights at f4.5. That notwithstanding, its focus is good and fast. An additional merit of the lens is its flexibility; it works perfectly for other APS-C Sony a600 and a6500 cameras. You probably know Sony very well by now. They never compromise with the quality of their Sony A5000, A5100, A6000, A6300, and A6500 APS-C mirrorless camera lenses. 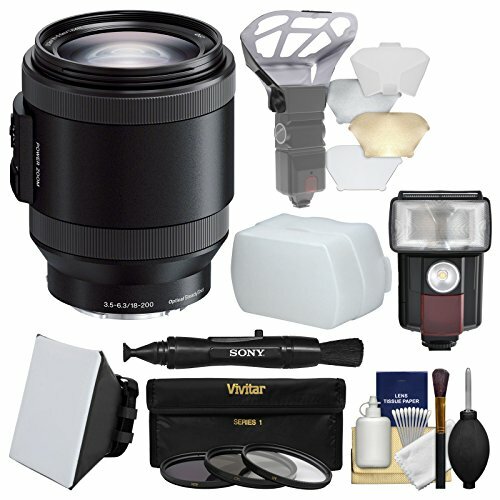 In a sense, though, you still want to make significant purchase decisions before spending on a grab-and-go Sony E-mount lens for your next wedding, family, landscape, or sports photography project. Sure, you are interested in upgrading beyond your normal kit lens, and who really doesn’t? Here are important things to consider when evaluating the best Sony E-mount lenses in 2019. The best Sony E-mount lenses don’t have a standard aperture. The variation spoils you with choice, but you need to know what you are picking anyway. In the reviews above, we’ve gone through an aperture range of f/1 to f/4. These numbers simply refer to how much light your lens can gather. A lens that has a maximum number of apertures can gather more light as opposed to those with low apertures. Lenses with low apertures can use more light. Generally, if you are looking for a lens that you can use in lower lights situations, it would be best to go for one with a lower aperture. Such lenses can provide shallow depth of fields, too. One of the things you must look at to choose the best Sony E-mount lenses in 2019 is the focal length. Depending on your preferences, you can go for a lens with either a higher number or a lower number. Usually, a lens with a higher focal length is the best fit for bigger zooms, and those with lower focal length are perfect for wider shots. You want to buy the best sony e-mount lenses that fit your camera nicely. The thing is no matter how good a lens is, it is not going to be useful if its amount won’t attach to your camera. A Sony mirrorless ASP-C camera user, there aren’t any exception to this as it is with Panasonic and Olympus cameras. So, find an appropriate lens amount before final purchase.